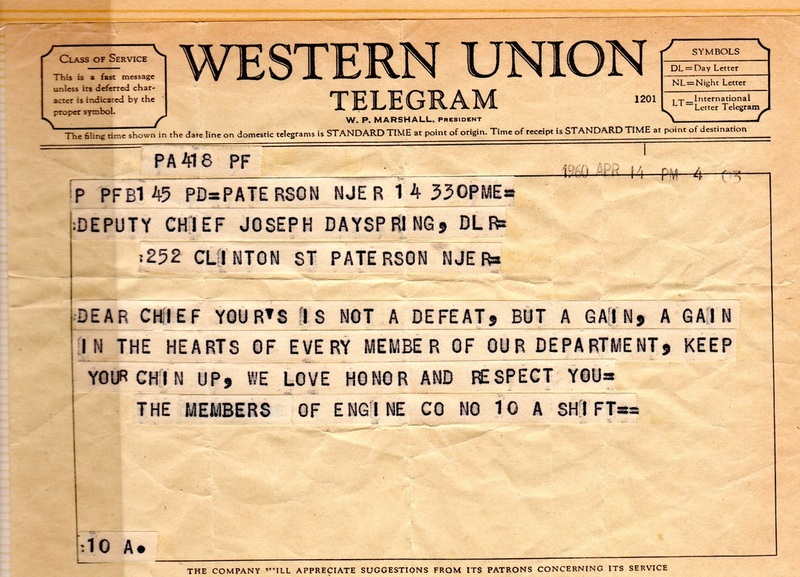 After the sudden death of Chief Engineer Hobart Strathearn in April 1959, a Civil Service test to select the next chief occurred on December 19, 1959. 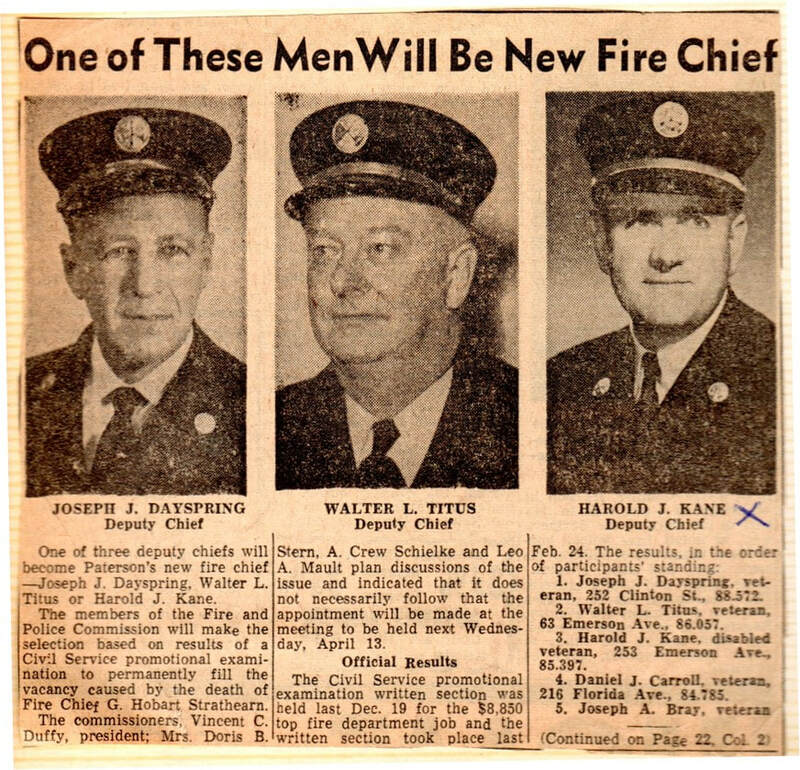 The day after the above newspaper article, the article shown below appeared in the Paterson Evening News. 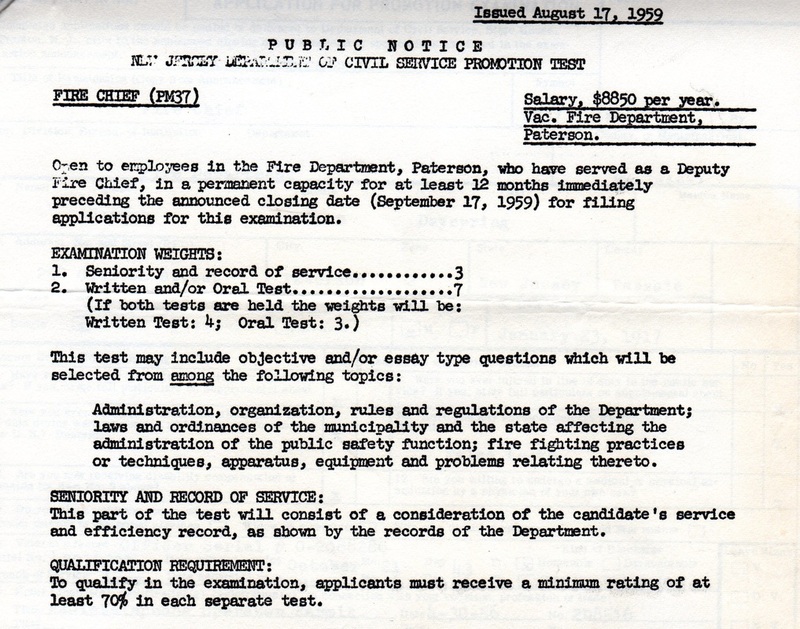 Below are the qualifications that Civil Service had for appointment to the rank of Fire Chief which emphasized mostly test score but also seniority and record of service. highly unlikely ​that the Commissioners would not honor the list. ​commission policy,​was appointed to the Chief's position. ​was denied because all of the three men were veterans. ​the response from editor Harry B Haines. 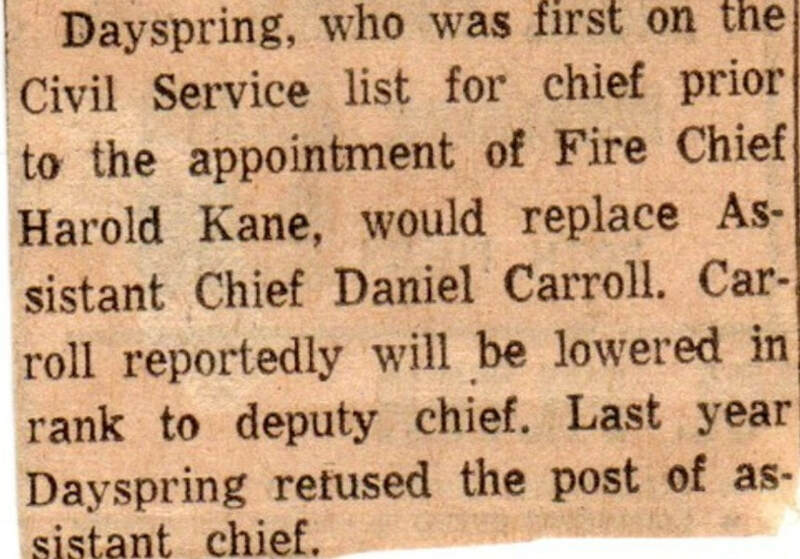 Note: Chief Carroll remained a Deputy Chief on "A" shift and Dayspring, now an Assistant Chief on the "B" shift served as Tour Commanders.